I hope you had a lovely Easter! We had a great weekend and it was so fun to celebrate with the baby for his first Easter. I made a carrot cake from scratch that didn't quite turn out as planned. It overflowed in the oven and by the time I cut it down to size it was lopsided. Even though it wasn't the prettiest cake, it sure did taste good. Anyhow, this post isn't about carrot cake, it's about extras! I frequently get asked how many extras I have in my ten-item wardrobe. Either that or people ask me to tell them how many they should have. This will truly be different for everyone. Please watch today's videoto hear my response. 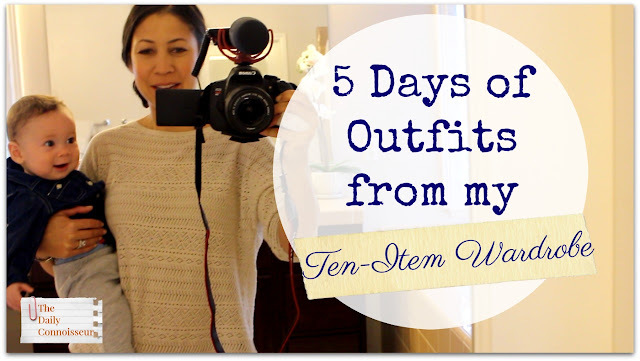 I hope my insights will help you along your ten-item wardrobe journey. Thank you for watching . 📍 This weekend our YouTube channel hit 50,000 subscribers. I can't believe it! I am so grateful to each and every one of you who subscribes. I put so much work into my channel and I hope that my content reflects that. Thank you, thank you! If you would like to subscribe to the channel (it's free!) click the red subscribe button, then hit the "bell" to be notified by email when I upload a video. I sometimes put videos on my channel that do not appear here on the blog, so it's nice to be notified. 📍Check out my eCourses: The Ten-Item Wardrobe, Chic Financial Principles for Debt-free Living, and How to be Efficient at Home. 📍ANNOUNCEMENT: We will be continuing the final installment of the Mapp and Lucia book club, finishing with the final two books in the series: The Worshipful Lucia & Trouble for Lucia. I will also formally announce this on video, but I wanted you to get a head start with reading. We will most likely discuss these books at the beginning of July. I do get comments often about where I’m going dressed up - but I’m getting used to them. It is an awkward phase! And I also have found it’s made me more productive overall - it’s amazing how what you wear speaks in such a powerful way to the rest of your life. Not even just to others but to yourself! So glad you shared your lessons from Madame chic!" 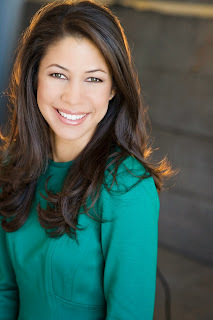 Paula writes, "You are beautifying the world, several ladies at a time, Jennifer! I agree with you that one is much more productive when dressed nicely for the day. I have found it interesting that so many women go shopping for clothes, but while they are shopping they often are not dressed so nicely. I like some of the replies your listeners have ready for those who ask why they are dressed up. We are an older couple and we are very frequently, especially my husband who wears a suit and tie to weddings and funerals, complimented on how "regal" we look. Our granddaughter told us recently that her friends comment on how striking and "presidential' we look. We do not dress much differently from what we did over 50 years ago when we were single! I recall when folks dressed up to fly. It is so energizing to see a woman or man who is dressed well. While I was on jury duty a while back, after the first day, I decided to dress up more. We had to walk in front of observers in the court and we were in a position of judging someone, so I felt we needed to respect our "job." It was so fun to notice that others, men and women, began to dress up more for the remainder of the trial. Keep on raising the bar, dear Jennifer." Kristen and Paula, thank you for your testimonies! I absolutely loved hearing from you and everyone else who commented on that post. I am grateful for this online community we have where we can encourage each other. 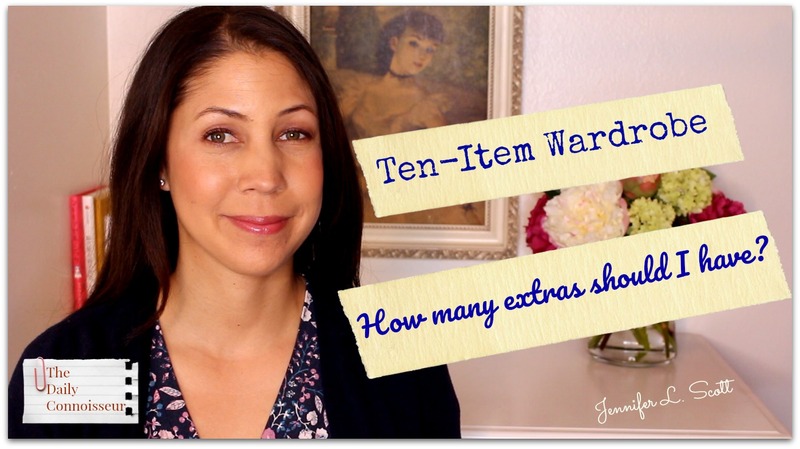 Today I would love to know how you handle the extras in your ten-item wardrobe. Do you struggle with having too many or too little? Do you find your extras compliment your core items well? Do you have any questions? Let us know in the comments. Thank you for joining me and I'll see you soon! FTC: This post is not sponsored. Some links are affiliate. One of The Chic Assignments for April is to get dressed up for no reason. By dressed up, I mean dressed in clothes appropriate for the occasion. You may have a pretty spring dress that you're saving for a special occasion. Or maybe you have a nice pair of white slacks you'd like to wear, but you're afraid you're going to get them dirty. We love to buy beautiful things, but tend to not use them for fear of ruining them. So we save them for later. 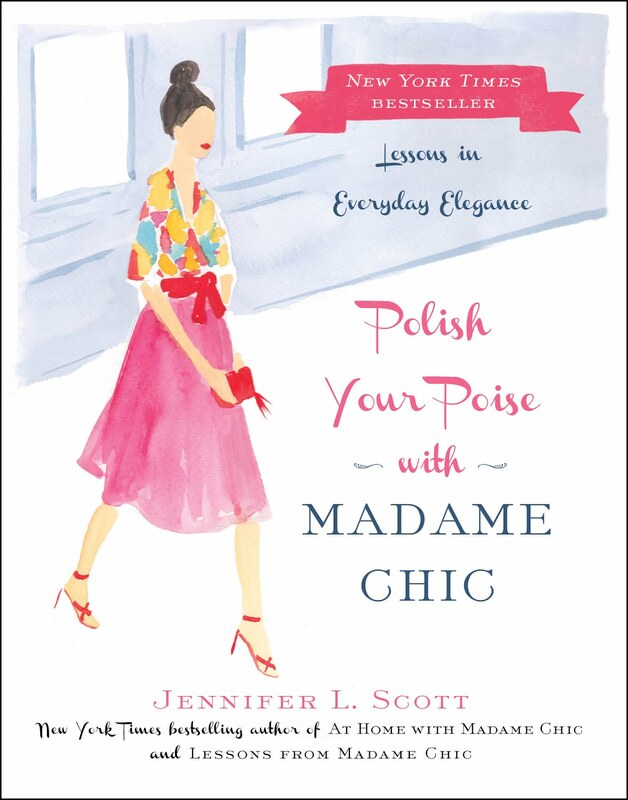 In Lessons from Madame Chic, I have a chapter called, Always Use the Best Things You Have. This doesn't just apply to dishes, but to dressing as well. It may seem awkward and uncomfortable at first if you're used to dressing casually every day (yoga or sweat pants, or even the jeans and tee shirt uniform), but eventually you will break away from that form of dressing and be more comfortable dressing up. I went through this transformation. It didn't happen overnight, but gradually. 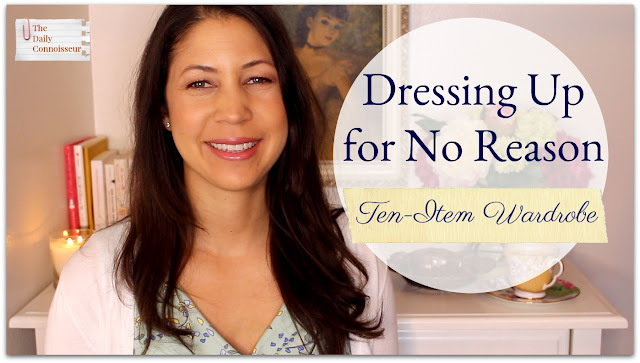 This video is for any lady out there who is feeling in a rut with her dressing and wants to start wearing her nicer items on a regular basis. I hope you enjoy today's video. 📍 I am extending the sale on my eCourse, How to be Efficient at Home, through the weekend. The course has wonderful feedback. Elizabeth P. writes, "Thank you for your wonderful course, Jennifer! I enjoyed it tremendously, and I'm already putting some efficient tools into practice! I think scheduling will be very effective and joyful - using pretty planners and nice pens! Waking up early has been a big stress-relief for me, as I feel like I have some time to myself every day." Thank you, Elizabeth! I'm thrilled that you enjoyed the course! SR K writes, "Jennifer - I wanted to share with you how much I appreciate this series! Your chic assignment resulted in my soon to be five year old experiencing his first concert! I listened to the link of Stephan Hauser’s Ave Maria on cello (stunning! ), which led me to discover his musical partnership of 2 Cellos (also amazing!) While visiting my parents for a family event I discovered that 2 Cellos was in concert the one night we were in town. (What are the chances?) My son has become enamored with Hauser/2 Cellos so my husband and I purchased tickets last minute and took our son for his first concert experience! Incorporating the arts has brought such joy to our lives - thank you! ❤️﻿"
Thank you to you and your son! I love Hauser's music and also enjoy him in 2Cellos. I'm thrilled your son is interested in Classical Music because of The Chic Assignment! Wonderful! I hope you all have a wonderful holiday weekend. Happy Easter and I'll see you on Monday! FTC: This post is not sponsored. Some links are affiliate. The products featured today have been sent to me for my honest review. I have a fun post for you today... we are exploring the world of luxuries. 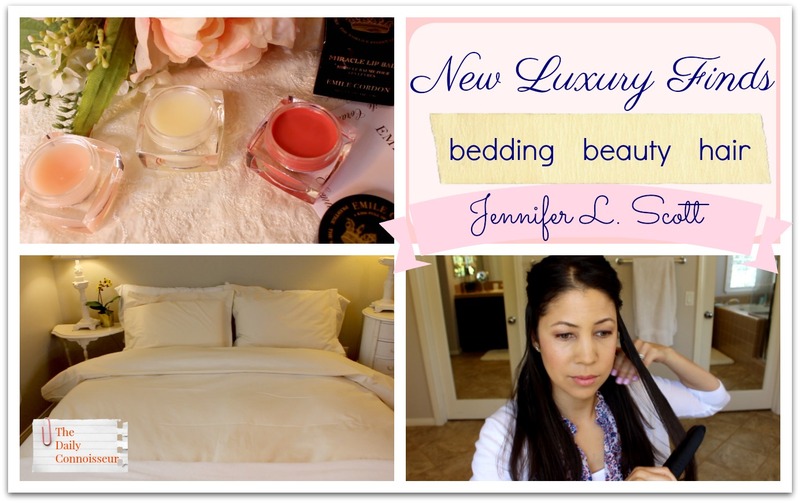 Luxury beauty products, sumptuous organic sheets, technologically advanced hair tools. It's all here! 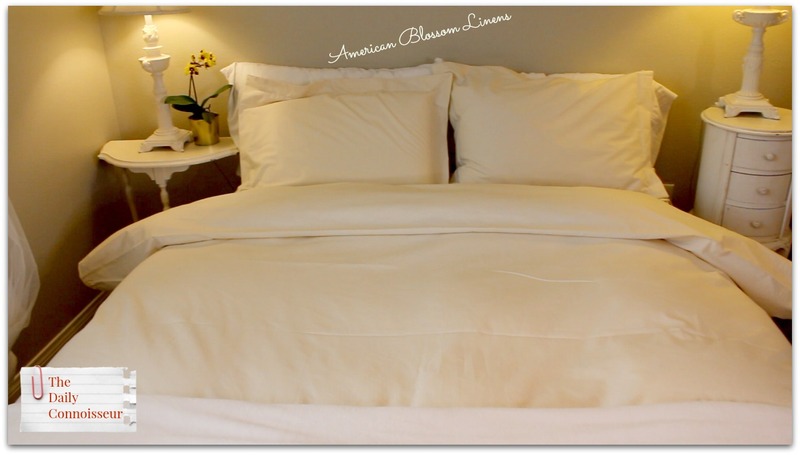 100% USA organic cotton bedding ethically made with a classic design and made in the USA. Daily Connoisseur and Madame Chic reader, Janet from American Blossom Linens reached out to me to tell me about her family's wonderful business. I love to support small businesses with a unique story and this one is no exception. The duvet and pillow cases they sent me are such high quality. 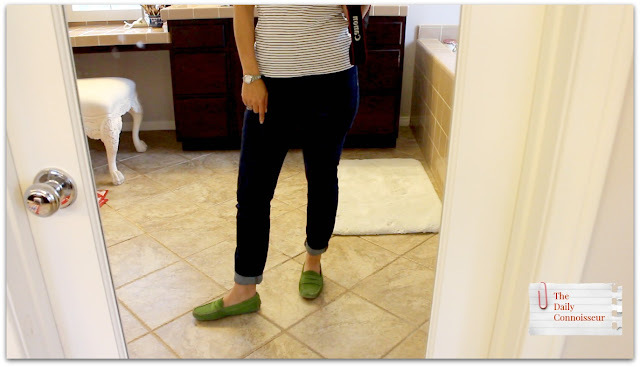 They are sturdy and thick and get softer with each wash, yet I also feel like they will last a long time. Janet also sent a crib sheet for Baby Connoisseur. We love it and feel great that it is organic cotton. 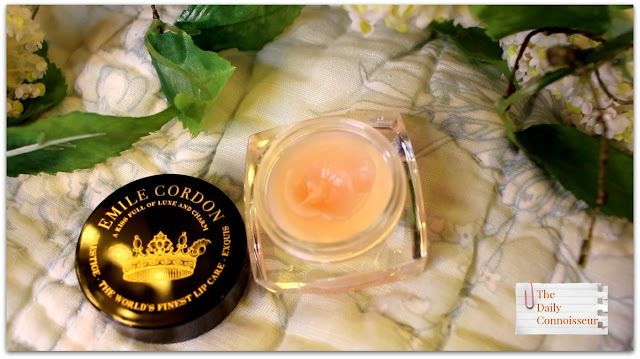 A true miracle lip balm repairs, moisturizes and transforms lips into its perfect condition. 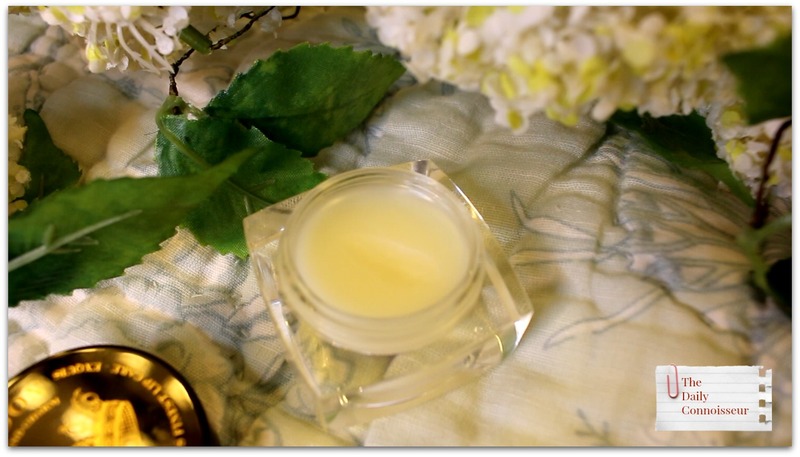 Significantly soothes and improves dryness and lip lines with natural emollients. 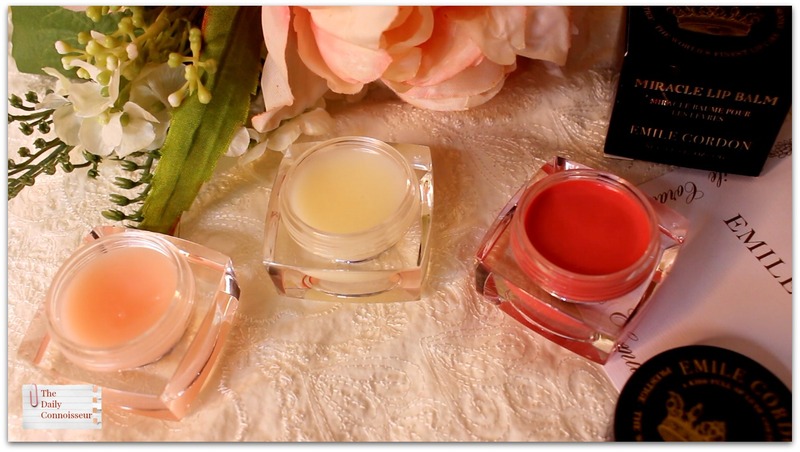 Lips feel comfortable and are beautifully hydrated, smoothed and plumped for all day. Powdered Rose Rose Champagne, Strawberry Leaves This one leaves a slight pinkish color. Fast, even heating with instant recovery, Vibrating function can be turned on or off, Slim, ergonomic handle closes firmly, without strain, Curved edge plates help prevent dents and lines in hair, Protective ceramic plates coated with tourmaline powder for even, consistent heat. 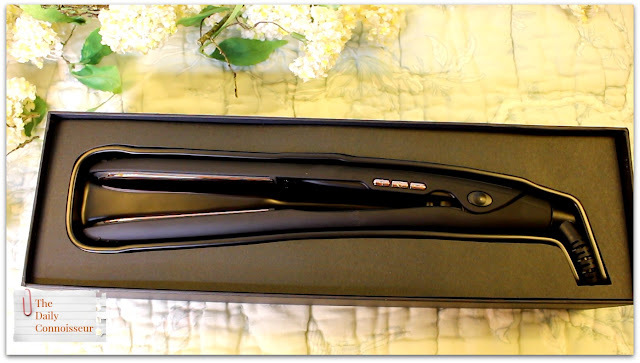 Sleek, modern, and designed in Italy, this iron proves that all flat irons are not created equal. Complete with ergonomic plates and a no-slip rubber handle, it's curved to allow for endless styling options. Straight and sleek? Yup. Beachy and boho? It can do that too. The best part? Innovative rose gold vibrating plates designed to shuffle the hair back and forth to minimize tugging, slipping, or pulling, for an even, shiny, healthy finish. It's straight-up the best in the game. 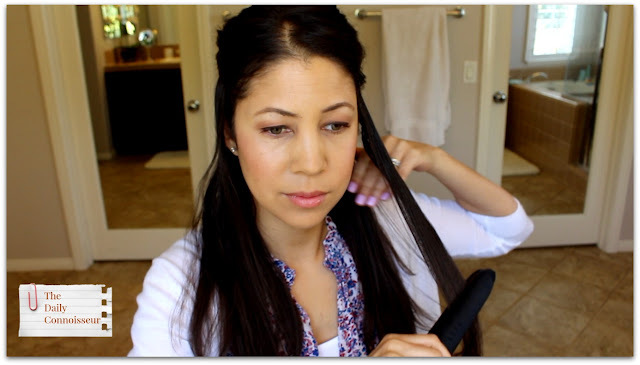 This flat iron is high-performing and lovely. I am looking forward to learning new techniques on how to style my hair with it. Instantly evens the appearance of skin tone to reveal radiant and glowing hands, while providing the nails with key nutrients for healthy and strong growth. 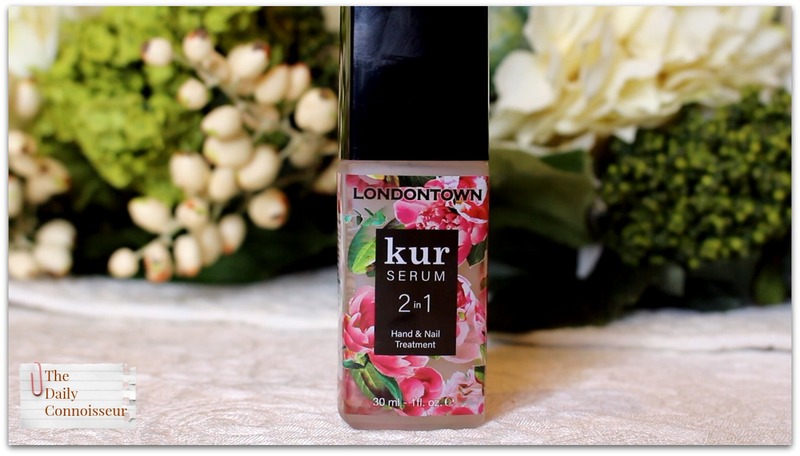 This is a lovely hand and nail serum and I have enjoyed using it for my at-home manicures. It is Gluten-Free, Cruelty-Free, Made in the USA, Florium Complex Infused. I hope you enjoy today's video. Let us know which luxury find is your favorite! See you soon. My interview series continues today with the lovely Devoreaux Walton of The Modern Lady. Devoreaux is the author of the new book, Je Ne Sais Quoi, which is a fabulous style and life guide for the modern lady. 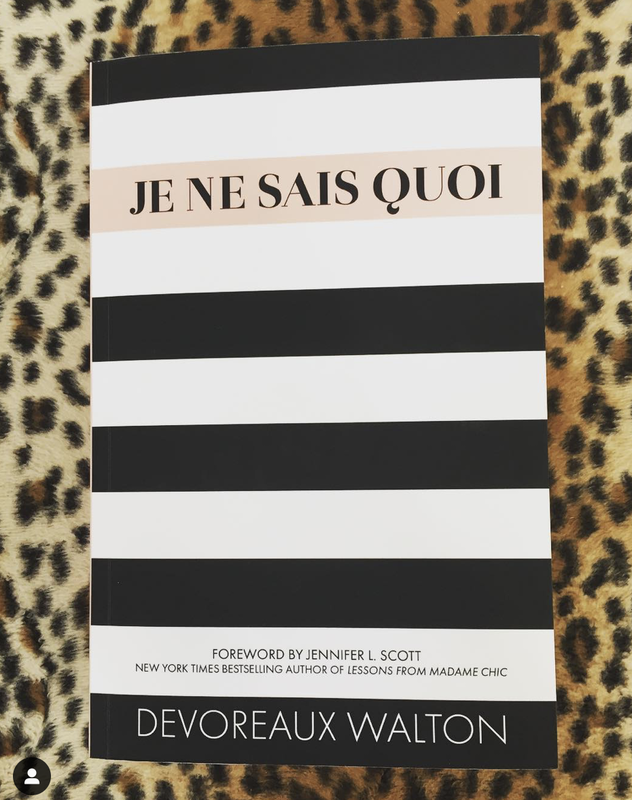 I have written the foreword for Devoreaux's book and I have so enjoyed getting to know her. She is truly a kindred spirit! I hope you enjoy our interview today. You can find Devoreaux on her website, The Modern Lady and find her YouTube channel here. 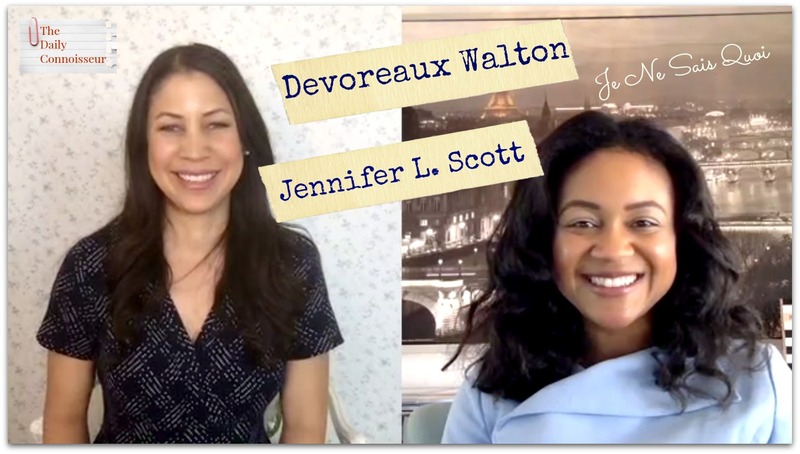 Also, watch my interview on Devoreaux's channel, where we talk about how to be feminine for spring. 📍Like the rest of the world, I have been so moved, heartbroken, and saddened by the fire at Notre Dame. I released a video on Monday as the events unfolded to talk through my emotions as we watched the great cathedral burn. This video only appeared on YouTube so I am listing it here. Thank you for sharing your own memories from Notre Dame. In this way, we are preserving our own history. 📍Thank you to everyone who has taken my new eCourse, How to be Efficient at Home. Thank you for joining us for today's video! I would love to know your thoughts on our conversation. Your comment could be chosen as comment of the week on The Daily Connoisseur. In today's Chic Assignment Check-in you will laugh, you will cry, and you will (hopefully) feel inspired to carry through with the rest of the month! 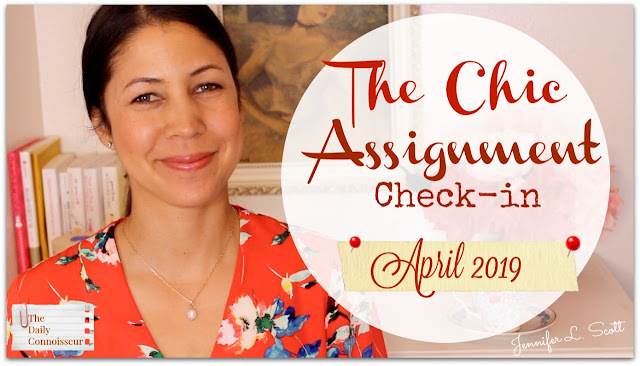 Be sure to visit the original Chic Assignment for April to familiarize yourself with the assignments if you don't already know what they are. In today's video we discuss the synchronicity of this month's assignments. Have you seen this video? I do give you an almost literal reenactment of me reading about Shelley's life. Grab the popcorn! And we discuss the importance of intentional rest. We want them to comfort us. We look to our surroundings to bring us cheer. Are the cause of our despair. Whatever state they are in. And today that is what I found. 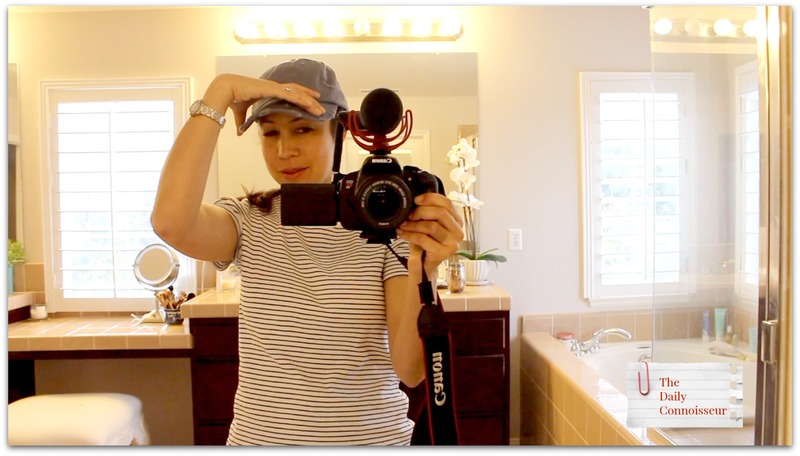 Thank you to everyone who has taken my new eCourse, How to be Efficient at Home. These are the last few days to get the course at only $5. The price will go up later this week. I do this to cover the costs that Teachable charge me to host the courses. You are able to access the courses at any time and as many times as you like. Oxana writes, "Dear Jennifer, I am very grateful to you for this course! It points out the main pillars of home efficiency. I am definitely determined now to work on the points that haven't become my habits yet. You have inspired me a lot! By the way I live in Moscow, Russia. We have long winters here (November - March) with very little sun. It always affects me with the lack of joy and energy. But this winter I had an additional source of light, energy and joy: your books, videos and now this course! Thank you so much for doing all this for us! I've never thought of home chores as of something that could bring joy, I've always viewed them as my obligation as a housewife and the mother of 3. I used to look for joy outside my home: cultural events, vacations, shopping. Now I am learning to find joy in everything I do AT home and I love it! You've changed my mindset! In one of your books you mentioned that you would like to be the Madame Chic for your family. You ARE already! Please continue being such an inspiration, encouragement and a good example of always presentable, smart and positive woman, wife and mother. All the best and many blessings to you and your wonderful family!" Oxana, thank you for your wonderful testimonial. I am so happy that the course has inspired you. It's so fun for me to connect with readers from all around the world! Barbara writes, "So today I dressed up for no reason. Since it's still very cool here in Toronto, Canada I wore a warm dress with tights and a pearl necklace to work. I work at a large University campus and one of my colleagues noticed. She said "I like that dress. It's very pretty!" Made me feel good. Thanks for this assignment Jennifer! I may repeat it again next week :)"
Barbara, thank you for checking in. I loved hearing your Chic Assignment findings! I would love to read about your findings with this month's Chic Assignment. Leave your comment down below and your comment could be chosen as comment of the week on The Daily Connoisseur. 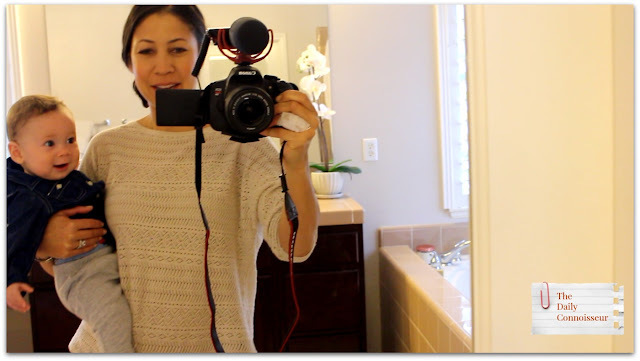 On today's Natural Home with Jennifer, I'm cleaning our master bathroom... with a twist! 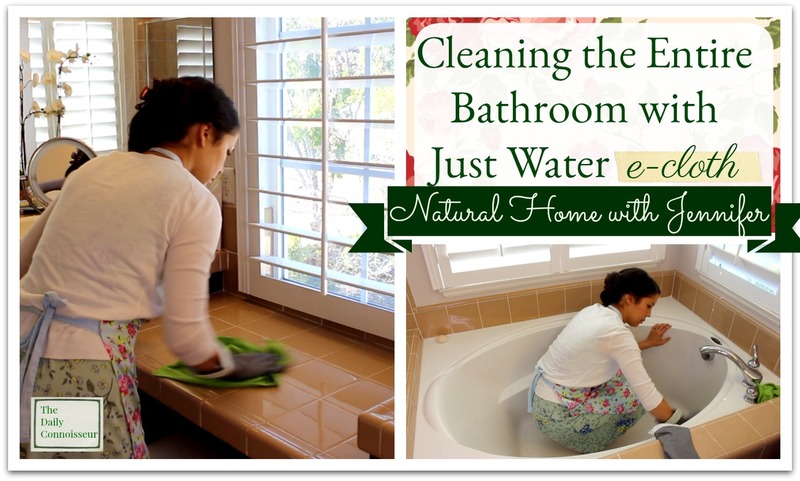 I'm using only water and my e-cloths for everything from the counters, to the mirrors, to the bathtub, to the floor. The e-cloths I use in today's video are the general purpose cloth (for the counters), the glass cloth (for the mirror), the mop head and mop (for the floor), and the new fresh mesh e-cloth scrubber for the bathtub. Our bathtub was particularly in need of a scrub as I have been using bath oils and masks. I found the scrubber to work amazingly well. I've had the bad experience of having a bath in a tub that was cleaned with a chemical scrubber and felt as though I was soaking in those chemicals. So I really loved cleaning the tub with just water. Our photo album. I get mine made by Chatbooks and The Daily Connoisseur coffee mug. Also my Jo Malone fragrances. Thank you for joining me today. I hope you have a lovely weekend! FTC: This post is not sponsored. The links to ecloth are affiliate. All opinions are my own. A few months ago, I did a video on maintaining dignity in parenting. I discussed how I had to interrupt my breakfast and run after my toddler who was gleefully sprinkling pepper all over the living room floor. This made me think about how parenting can sometimes make us act less than dignified. That video resonated with many people and I heard from so many of you who could relate! 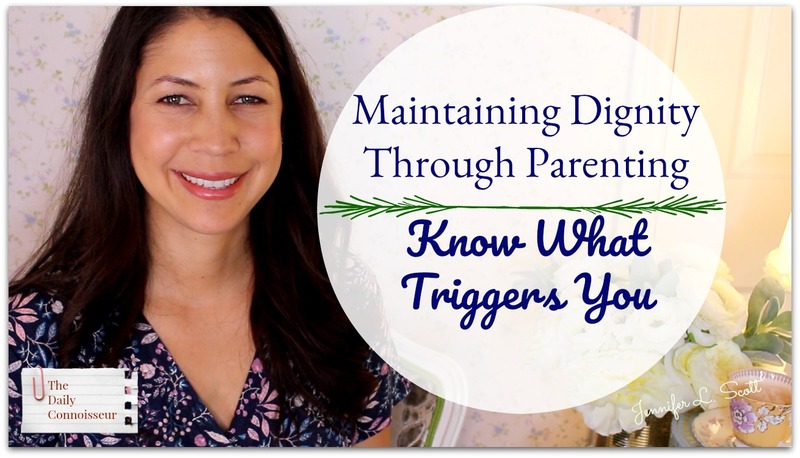 I am continuing the discussion in today's video as I talk about maintaining our dignity in parenting by becoming aware of what triggers our anger... which eventually leads to undignified behavior. I hope you enjoy today's video and that it gives you encouragement as a parent. 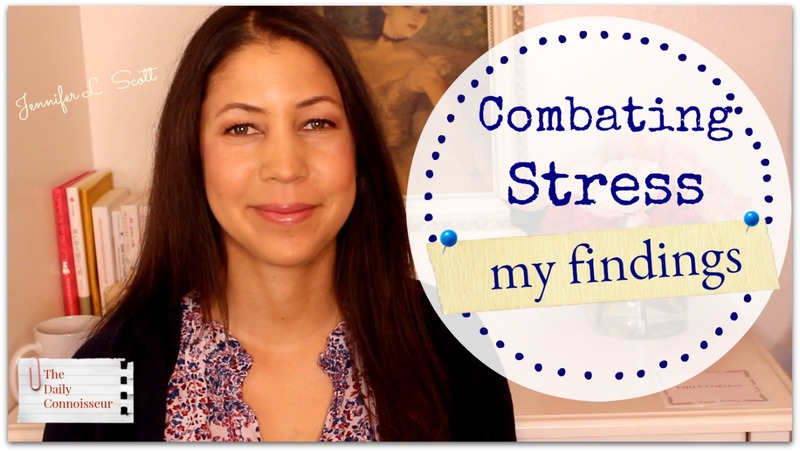 If you know someone who could use this encouragement, please share this video or blog. I love to connect with you and would love to hear form you in the comment section. M Monahan writes, "The inspiration to wake up earlier made a huge difference in my productivity this past week as I went through your course. Additionally, creating a weekly cleaning/chores schedule helped shift my mindset from one of feeling overwhelmed and always behind to one of confidence through baby steps. I look forward to continuing to use these methods on a daily basis. Thank you Jennifer for all of your encouragement and empathy." Thank you for your wonderful feedback, M! I'm so happy you enjoyed the course. Regarding last week's makeup tutorial, Leigha B. writes, "I am now convinced that all makeup tutorials should have classical music in the background! Lovely, as always Jennifer!﻿"
I hope you enjoyed today's discussion. Please chime in with your experience in the comments below and your comment could be chosen as comment of the week on the blog. FTC: This post is not sponsored. Links may be affiliate. In today's bonus video we are talking about stress: what can cause it in our lives, and practical ways to combat it. When stress gets bad, it can manifest itself in various ways physically. Some people might get bad skin, some might have other symptoms like eczema or various health problems as I discuss in today's video. As I deal with stress I am finding what works for me in combating it. I would love for you to watch and join in on the discussion. The article on how spending time in nature reduces stress. We have been playing backgammon with our kids. Playing games are a great way to de-stress. You will laugh, use your thinking skills, and be pulled in with the suspense. Teach your children to play these games too and they can play together when they are bored. My daughters love to play this together and my two-year-old son is interested in learning it. What a wonderful way for the children to spend their time instead of watching TV. I like to use my rebounder to de-stress at night. Due to my sciatica, I have not been able to rebound for the past few weeks. I am looking forward to picking it up again. The faux flower arrangement behind me is by Horchow. I discuss so much more in today's video, these are only the applicable links. Skillshare for bringing us today's video. Skillshare is an online learning platform that has over 25,000 classes available. The first 500 people to sign up with my link will get two months of Skillshare premium for free. Thank you, Skillshare! I hope you enjoy today's in-depth discussion. I'll see you tomorrow! FTC: This post is sponsored by Skillshare. Some links may be affiliate. 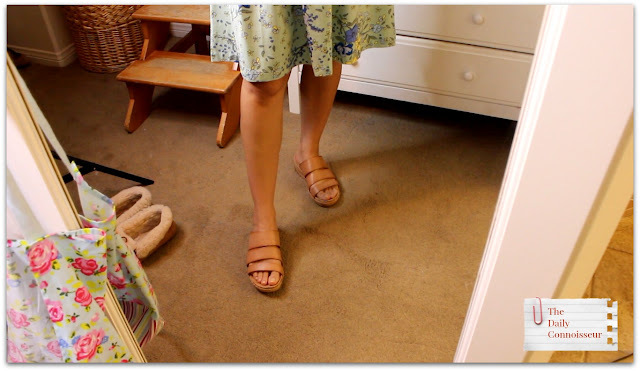 I share one Saturday and four weekday outfits. Let's have a look. My green driving loafers are no longer available. I'm linking similar ones here: a high-end option with Tod's and a budget option from Amazon (please note, I cannot comment on the quality of the budget option. I am linking here in case anyone wants a similar look but I have not tried these personally). 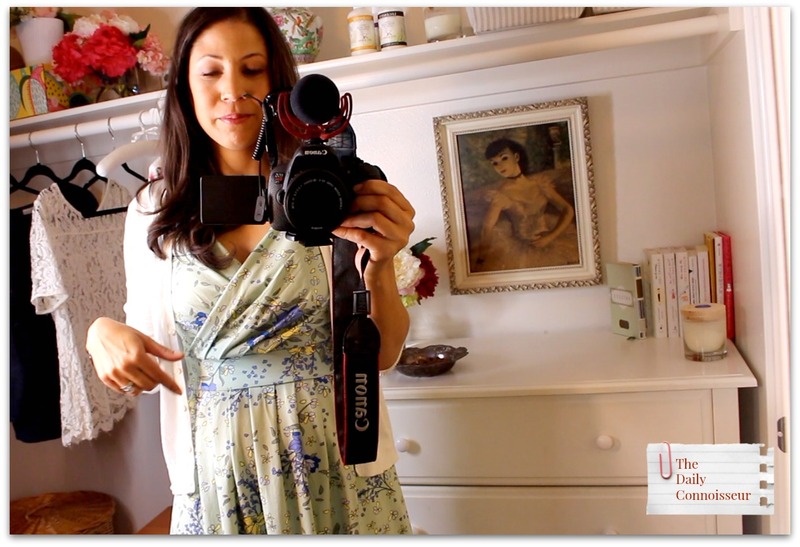 Mentioned in today's video: Audrey Coyne's channel Audrey has wonderful style inspiration. Check out her channel and tell her I said, "hello"! 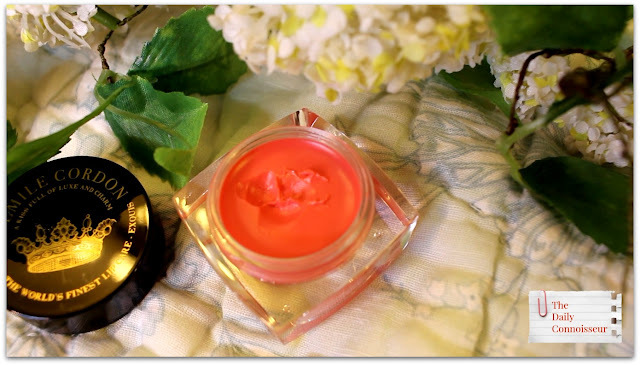 Also mentioned is the CC cream I reviewed in last week's makeup tutorial. On my nails, Londontown Teatime (use code JenniferS for 25% off). Nancy B. writes, "Jennifer, thanks for offering this course! I was very excited to see the topic when you announced it because earlier this year when you asked what your readers would like to see more content on, I specifically asked "How do you get it all done?!" It's like I hit the jackpot! Not just a blog post but a whole course. And what a delight to watch." Nancy, I really enjoyed reading your comment on the course and I'm thrilled you enjoyed it. Thank you for your support! 📍Are you taking part in The Chic Assignment for April? I would love to hear your findings. 📍 Do you follow me on Instagram? 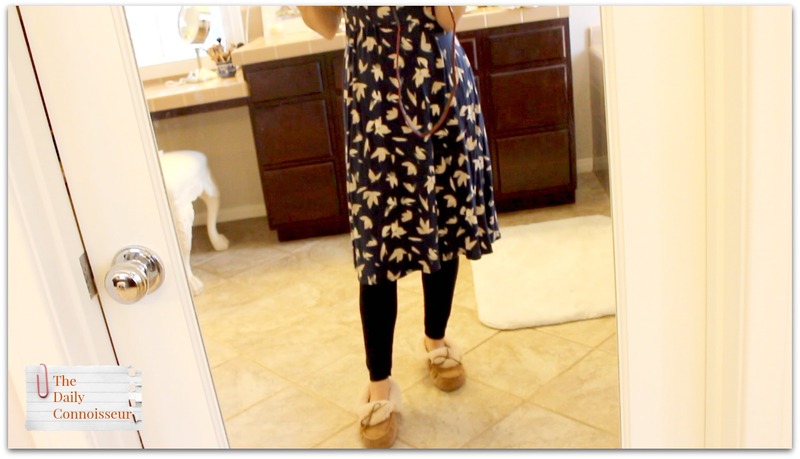 I share some outfit of the day (ootd) snaps over there. Here is mine from Sunday. 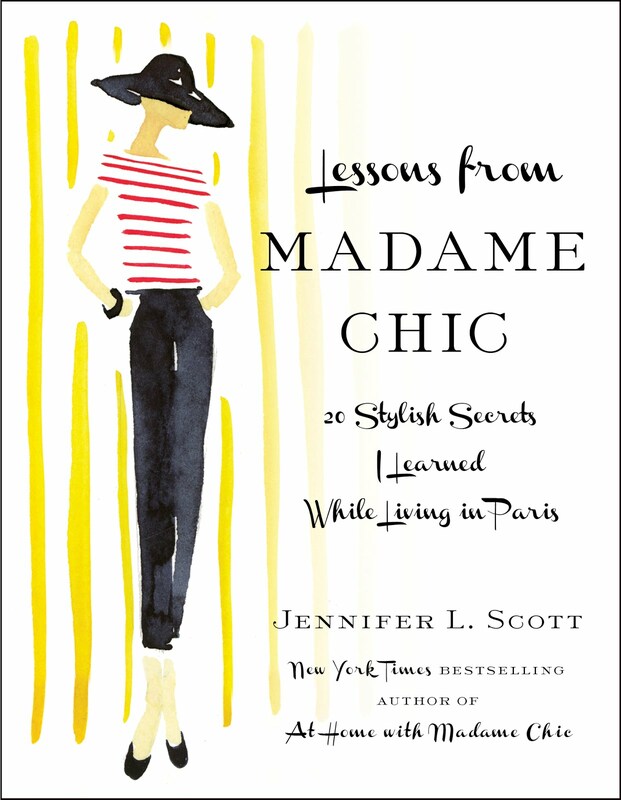 Jody writes, "I just finished a audiobook of yours lessons from Madame Chic. I really enjoyed it and willbe listening to your book on poise tomorrow. I started getting into french culture last year. I love their simple way of living and their simple yet elegant fashion style.﻿"
Thank you, Jody. Welcome! 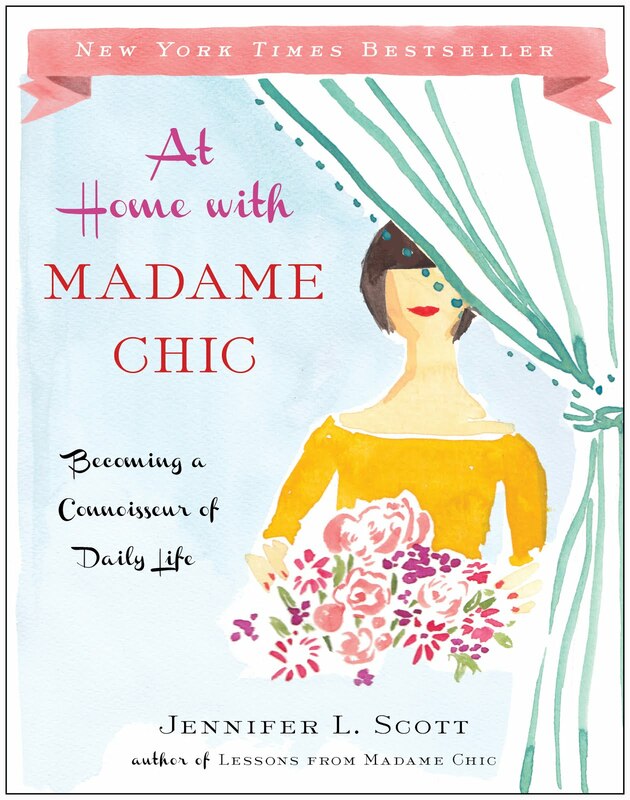 I love connecting with people who have just discovered The Madame Chic books. I look forward to seeing you on the blog. I hope you enjoyed today's video. 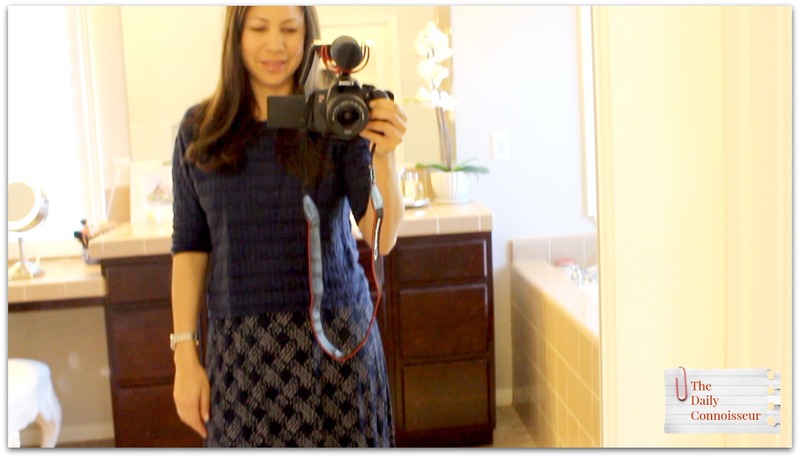 I plan to shoot more "what I wear in a week" videos so stay tuned for those. I would love to know how your ten-item wardrobe is coming along. Let us know and your comment could be chosen as comment of the week on The Daily Connoisseur. FTC: This post is not sponsored. The links to the makeup are affiliate.